This section presents the key terms and calculations needed to adjudicate the most basic elements of combat: attacking and defending. For a full breakdown of all actions characters can take in combat, see Actions in Combat. While many ordinary citizens go their entire lives without seeing combat, adventurers and explorers often stumble into situations where a laser pistol or a chainsword is their best option, or they might find themselves fighting for their lives from the back of a vehicle. Combat and Tactical play are common parts of this game, and the following section explains how these crucial and wide-spanning rules work. Combat is cyclical. After initial steps that begin a battle, every character acts in turn through a regular cycle of rounds until the combat ends. Regardless of how it plays out, combat follows this sequence. Determining Awareness: The GM establishes whether any combatant is surprised when combat breaks out. PCs and NPCs usually attempt Perception checks to determine whether they are aware that a fight has started. Determining Initiative Order: The GM and players roll initiative checks for those characters able to act. In combat, characters will act in order of their initiative check results—also known as their initiative counts—from highest to lowest. This order is called the initiative order. Surprise Round: If some but not all of the characters are surprised, combat begins with a surprise round, during which only characters who aren’t surprised can act and their choice of actions is limited (see Surprise below). After the surprise round, if any, the GM and players roll initiative checks for any characters that have not yet done so. The GM inserts these characters into the initiative order based on their initiative counts. First Normal Combat Round: All characters act according to initiative order. The full suite of options is available to the combatants when they act, including moving and attacking. Continuing Combat: After all the characters have had a turn, the next normal combat round begins and characters again act in the initiative order determined for this combat. Step 5 then repeats until the combat ends. If a new character enters combat, she rolls an initiative check to determine her initiative count, and the GM inserts her into the established initiative order. The GM determines when combat begins, often by telling players to roll initiative checks. As long as there are enemies to fight or threats for which it is important to determine who acts in what order, the characters are considered to be in combat. When the GM has decided there are no imminent, known threats left, the combat ends and initiative no longer dictates when characters can act. When the only creatures remaining on one side are so insignificant that they pose no real threat to characters from the opposing side, such as foes with a CR 4 or more below the average level of the PCs, the GM can decide whether the characters are still in combat. See Significant Enemies for more on how to gauge this. When a combatant enters battle, she rolls an initiative check to determine when she’ll act in each combat round relative to the other characters. An initiative check is a d20 roll to which a character adds her Dexterity modifier plus any other modifiers from feats, spells, and other effects. The result of a character’s initiative check is referred to as her initiative count. The GM determines a combat’s initiative order by organizing the characters’ initiative counts in descending order. During combat, characters act in initiative order, from highest initiative count to lowest initiative count; their relative order typically remains the same throughout the combat. If two or more combatants have the same initiative count, the order in which they act is determined by their total initiative modifiers (the character with the highest modifier acts first). If there is still a tie, the tied characters should each roll a d20, and whoever rolls highest goes first. This final method of determining which character’s initiative order is earlier is often referred to as “rolling off.” However, if the GM allows it, characters whose initiative results are a tie might decide among themselves which character acts first based on strategies or other Tactical factors. A character rolls to determine her initiative count only once in each combat. Even if a character can’t take actions—for example, if she’s is under the effect of a hold person spell or is otherwise paralyzed—the character retains her initiative count for the duration of the encounter. The exception is when a character takes an action that results in her initiative changing (see the Ready an Action and Delay). Any characters who enter combat after it has already begun roll initiative checks when they first enter combat. The GM then inserts them into the initiative order based on their initiative counts. When a combat starts, if a character is not aware of her opponents, she is surprised. The GM determines whether each character is aware by calling for Perception checks or other relevant checks. Surprised combatants take penalties until they have acted in combat. If some but not all of the combatants are aware of their opponents when combat breaks out, a surprise round takes place before normal combat rounds begin. In order of the characters’ initiative results (highest to lowest; see Initiative below), combatants who started the battle aware of their opponents can each take either a standard or move action during the surprise round. Characters can also take swift actions during the surprise round. If no characters or all characters are aware of their opponents, no surprise round occurs, and combat proceeds as normal. A surprise round occurs if some but not all characters involved in a combat are unaware of opponents about to attack. Sometimes all the combatants on a side are aware of their opponents, sometimes none are, and sometimes only a few are. Sometimes several combatants on each side are aware while the rest are surprised. When you can sneak up and catch your enemies by surprise, you enjoy a powerful advantage. It’s one way stealthy characters can even the odds when facing foes with superior combat abilities. Surprised Combatants: During combat, combatants who are surprised at the start of battle have the flat-footed condition. As a result, they take a –2 penalty to their Armor Class. Once a character has become aware and acted, she is no longer flat-footed due to being surprised. Each combat round represents 6 seconds in the game world, and there are 10 rounds in 1 minute of combat. A round normally allows each character involved in a combat situation to act. Each time a character acts in a round’s normal order, it’s called her turn. Each combat round’s activity begins with the character with the highest initiative count and then proceeds to the remaining characters in order of their initiative. When a character’s turn comes up in the initiative order, that character performs his entire round’s worth of actions. For some exceptions, see Other Actions; for example, delaying can change the order in which you take your turn. Regardless, in a normal combat round on her turn, a character can perform either a full action or a handful of shorter actions (see Actions in Combat for more details about the actions characters can take). When the rules refer to a “full round,” they usually mean a span of time from a particular initiative count in one round to the same initiative count in the next round. Effects that last a certain number of rounds end just before the same initiative count on which they began. Thus, if a spell with a duration of 1 round is cast on initiative count 14, it ends just before initiative count 14 on the following round. Combat normally takes place on a battle map with a grid of 1-inch squares, each representing a 5-foot-by-5-foot area, with miniature figures representing characters and monsters. Most player characters and many monsters occupy a single 5-foot square, though some bigger creatures occupy multiple squares. The space a character occupies is usually referred to as her square, though the terms “space” and “square” can be used interchangeably. See Size and Space for more information. In general, you can fire a ranged weapon at any enemy you can see on the battle map, though this becomes harder the farther away an enemy is. Likewise, you can use a melee weapon to attack an enemy in any square you threaten, which means the squares adjacent to your space, including diagonally, though you may be able to attack creatures farther away if you have reach. See Reach and Threatened Squares for more details. An attack roll represents your attempt to hit your opponent in melee or from range on your turn in a round. When you make an attack roll, you roll a d20 and add your attack bonus (see Ranged Attacks and Melee Attacks below, as well as the Basic Attack and Damage Bonuses sidebar). Various other bonuses can apply from class features, feats, and so on. If your result equals or exceeds the target’s Armor Class, you hit and deal damage. When making a ranged attack, you use a ranged weapon to shoot at an opponent from a distance. If you’re attacking with a thrown weapon, your ranged attack bonus equals your base attack bonus (determined by your class and level) + your Strength modifier. Otherwise, your attack bonus for a ranged attack equals your base attack bonus + your Dexterity modifier. When you make a ranged attack, you might also take a penalty for shooting or throwing your weapon beyond the distance listed as its optimal range (see Range and Penalties). When making a melee attack, you use a melee weapon to strike an opponent in hand-to-hand combat. Your attack bonus for a melee attack is equal to your base attack bonus (determined by your class and level) + your Strength modifier. A natural 1 (the d20 comes up 1) on an attack roll is always a miss. A natural 20 (the d20 comes up 20) is always a hit. A natural 20 is also a possible critical hit, which could deal more damage (see Critical Hits). Your Armor Class (AC) represents how hard it is for opponents to land a solid damaging blow on you. Your Armor Class (AC) is the minimum attack roll result that an opponent needs to hit you and deal damage. Armor Class is divided into two categories: Energy Armor Class (EAC) and Kinetic Armor Class (KAC). Any reference to Armor Class, including bonuses and penalties, applies to both EAC and KAC unless otherwise specified. Your EAC and KAC are primarily determined by your armor bonus (most often from a suit of armor you wear) plus your Dexterity modifier. Calculate your EAC and KAC using the following formula: 10 + your armor’s EAC or KAC armor bonus (whichever is appropriate) + your Dexterity modifier. Most suits of armor provide separate armor bonuses to EAC and KAC. However, some suits of armor’s conditions prevent you from using your full Dexterity bonus. Various other bonuses can apply from class features, feats, special circumstances, and so on. Your Energy Armor Class (EAC) represents the defenses you have against attacks that only deal damage as a result of some kind of energy (such as acid, cold, electricity, fire, or sonic damage). When an opponent’s attack would deal only energy damage (if he is using, for example, a laser pistol), his attack roll result is compared to your EAC to determine whether he hits you. Some weapons and effects that use magical or exotic untyped energies might also target your EAC; the description of the weapon or effect tells you if this is the case. Your Kinetic Armor Class (KAC) represents the defenses you have against attacks that primarily deal damage as a result of a physical impact. This generally includes attacks that deal bludgeoning, piercing, or slashing damage (usually described as “kinetic attacks”), as well as impacts from falling and damage from crushing or constriction. When a foe’s attack would deal such damage (if he is using, for example, a starknife), even if it also deals energy damage, his attack roll result is compared to your KAC to determine whether he hits. If your attack hits, you deal damage. Damage first reduces a target’s current Stamina Points and then the target’s Hit Points (see Injury and Death for more information). In most cases, the type of weapon used determines the amount of damage you deal, though specialization in groups of similar weapons (see the Weapon Specialization feat) and other abilities can increase that amount. Some weapons and abilities may add further effects in addition to dealing damage. When you hit with a melee or thrown ranged weapon, add your Strength modifier to your damage roll’s result. However, do not add your Strength modifier to the damage of your grenades and nonthrown ranged attacks. Sometimes you multiply your damage by some factor, such as on a critical hit. In this case, you do not literally multiply your damage roll result by that factor. Instead, you roll the damage (adding all modifiers) the number of times specified and total the results. If you multiply damage more than once, each multiplier applies to the original, unmultiplied damage. Thus, doubling damage twice is equivalent to rolling the damage (adding all modifiers) three times—once for the original damage and once for each doubling. If penalties reduce a damage result to less than 1, a hit still deals 1 nonlethal damage (see Nonlethal Damage). For ease of reference, the following are the basic formulas for calculating ranged attack bonuses, ranged damage, melee attack bonuses, and melee damage. Various other bonuses to attacks and damage can apply from class features, feats, special circumstances, and so on. Certain creatures and magical effects can cause temporary or permanent ability damage, which lowers a particular ability score and can reduce its modifier, therefore affecting a range of statistics and rolls. See Ability Damage, Ability Drain, and Negative Levels for more information. Whenever you take damage, it first reduces your Stamina Points (Sp). Any damage you take beyond your Stamina Points reduces your Hit Points (HP). When your Hit Point total reaches 0, you fall unconscious and are dying, and you lose 1 Resolve Point (RP) each round unless you are stabilized. When your Resolve Points reach 0 but you would lose additional Resolve Points from dying or for any other reason, you’re dead. For example, if you have 6 Stamina Points and take 9 damage, your Stamina Points are reduced to 0, you lose 3 Hit Points, and all subsequent damage reduces your HP until you regain Stamina Points. See Injury and Death for more information. When you are subject to an unusual effect, such as those imposed by some special weapons and magical attacks, in most cases you can attempt a saving throw (often simply called a “save”) to avoid or reduce the effect. When you attempt a saving throw, you roll a d20 and add your base saving throw bonus (determined by your class and level) and an associated ability score modifier (see below). You might also have other abilities, feats, or items that further modify your saving throws. If your result equals or exceeds the saving throw Difficulty Class (see below), your saving throw is successful. The three kinds of saving throws are Fortitude, Reflex, and Will. Fortitude saving throws measure your ability to stand up to physical punishment or attacks against your vitality and health. Apply your Constitution modifier to your Fortitude saving throws. Reflex saving throws test your ability to dodge area attacks and unexpected situations. Apply your Dexterity modifier to your Reflex saving throws. Will saving throws reflect your resistance to mental influence as well as many magical effects. Apply your Wisdom modifier to your Will saving throws. This subsection explains how to determine the Difficulty of a saving throw, the result of a successful saving throw, and other key elements in play. A saving throw against an effect has a Difficulty Class (DC) determined by the effect. For most class features, the DC of an effect you create equals 10 + half your class level + your key ability score modifier. For spells, this is 10 + the level of the spell + your key ability score modifier. The description of an effect from an item normally lists a saving throw DC. You can voluntarily forgo a saving throw and willingly accept the result of an effect or spell. If you have special resistance to magic, you can suppress that resistance to accept the result (though doing so takes a standard action). If you succeed at a saving throw against an effect that has no obvious physical indications, you feel a hostile force or a warning tingle but cannot deduce the exact nature of the attack. Likewise, if a creature specifically targeted by one of your effects succeeds at its saving throw, you can generally tell that the creature has succeeded. You do not sense when creatures succeed at saves against effects you create that don’t target a single creature. This means that the effect has no impact if you succeed at your saving throw. This means that the effect has a lessened impact if you succeed at your saving throw. Some lesser effect occurs, as defined in the effect’s description. This means the effect deals half the normal amount of damage if you succeed at your saving throw. A successful saving throw lets you ignore the effect (this usually applies only to illusion effects). Effects that deal damage generally affect unattended objects normally but don’t damage held or attended objects unless the effect specifies that they do. Effects that do something other than deal damage affect objects only if their descriptions specifically say so (this is common only with spells) or if they note “(object)” in the description of the effect’s saving throw. An object’s total saving throw bonus for Fortitude, Reflex, and Will saves is equal to the object’s item level. An object you’re holding or wearing uses your saving throw bonus if it is better than the object’s own saving throw bonus. Items with an item level of 0 do not receive saving throws when unattended. Normally only spells note whether they are harmless. Such a spell is usually beneficial, not harmful, but if targeted, you can attempt a saving throw, if you like. Sometimes a situation will call for you to attempt an ability check: a Strength check, a Dexterity check, a Constitution check, an Intelligence check, a Wisdom check, or a Charisma check. In this case, simply roll a d20 and add the modifier for that associated ability score. It’s possible for an ability score modifier to be negative. In this case, subtract that amount from your d20 roll. In addition to the basic combat mechanics and statistics detailed above, the following terms and rules are also frequently used in, both in and out of combat. Sometimes an ability targets or requires an enemy or an ally, such as the envoy’s watch out Improvisation. You count as your own ally unless an ability says otherwise. The GM has the final say on whether someone is an enemy or ally; you can’t declare one of your fellow party members to be an enemy or an enemy to be an ally just to trigger a special ability. The GM can and should declare that an ineffectual foe is not enough of a threat to count as an enemy for effects that grant you a benefit when you do something to an enemy or have an enemy do something to you. For example, an envoy’s inspiring boost lets her restore Stamina Points to a nearby ally in danger; if the last remaining foe is a malfunctioning robot that can deal only 1 damage each round, the GM should declare the robot isn’t a significant enemy, since otherwise the ally could regain all his Stamina without needing to rest or spend Resolve, even though he’s in no real danger. In general, a creature with a CR less than or equal to your character level – 4 is not a significant enemy. Most classes grant proficiency with light armor, and more melee-oriented classes, such as soldiers, grant proficiency with heavy armor. If you are wearing armor with which you are not proficient, you take a –4 penalty to your Armor Class. Characters can gain proficiency with powered armor by taking the Powered Armor Proficiency feat or via certain class features. Powered armor imposes more significant drawbacks on wearers who aren’t proficient with it than other types of armor. If you are wearing powered armor with which you are not proficient, you take a –4 penalty to Armor Class, you are always flat-footed and off-target, and you move at half speed. If the armor has a special form of movement (such as the flight speed of a flight frame), you cannot use that form of movement. When you are asked to multiply a value or roll more than once, the multipliers (×2, ×3, and so on) are not multiplied by one another. Instead, you combine them into a single multiplier, with each extra multiple adding 1 less than its value to the first multiple. For example, if you apply a ×2 multiplier twice, the result is equivalent to multiplying the value by 3 (or rolling the damage three times), not multiplying it by 4. Occasionally the rules might ask you to round a result or value. Unless otherwise stated, always round down. For example, if you are asked to take half of 7, the result would be 3. Most classes grant proficiency with basic melee weapons and small arms. Combat-oriented classes, such as Solarian and soldier, grant proficiency with more categories of weapons, as noted in each class’s Weapon Proficiency section. All characters are proficient with any natural weapons they might have, such as a claw or bite attack. If you use a weapon with which you are not proficient, you take a –4 penalty to attack rolls with that weapon, and the DC for any saving throws against that weapon’s special effects likewise takes a –4 penalty. At 3rd level, all classes grant specialization in groups of weapons, which increases the damage you deal with those weapons. See the Weapon Specialization feat for more details. When the rules refer to wielding a weapon, it means you are holding a weapon with the correct number of hands and can thus make attacks with it. For example, if you are holding a small arm or one-handed melee weapon in a hand, you are considered to be wielding the weapon. If you are carrying a longarm or two-handed melee weapon in one hand or wearing a holstered or sheathed weapon, you are not wielding that weapon. Some abilities allow you to reroll a failed die roll—usually an attack roll, a saving throw, or a skill check. Unless an ability says otherwise, you must decide to use a reroll as soon as you know the result of your first roll but before the GM tells you the outcome or you declare the use of any other ability. You use your rerolled result only if it is better than your original result. There are also abilities that allow you to make two rolls for a specific die roll and take the better of the two results. These abilities require you to decide to roll twice prior to the die roll. Some abilities allow you to force a foe to roll twice and take the worse of the two results. These abilities also must be announced prior to a die roll being made. In most cases, once an ability to either reroll or roll twice (or force a foe to roll twice) has been applied, no other similar ability can be applied to that same specific die roll. There are exceptions, however. If one character forces a foe to roll twice and take the worse result, that enemy can still apply the ability to roll twice and take the better result. The reverse is also possible—countering the advantage of rolling twice by forcing a foe to roll twice with a worse result. In both cases, the two abilities negate one other, resulting in a single die roll being made. That die roll cannot then benefit from an ability that would allow a reroll. The specific actions you can perform in combat are detailed in this section. For quick reference, specific combat actions are organized by their type in the Actions in Combat sidebar. An action’s type essentially tells you how long the action takes to perform within the framework of a 6-second combat round. There are five types of actions: standard actions, move actions, swift actions, full actions, and reactions. In a normal round, you can perform one standard action, one move action, and one swift action, or you can instead perform one full action. Most characters will rarely perform swift actions, though occasionally using a special ability or class feature is a swift action. You can use your standard action to perform either a move action or a swift action, if you wish, and you can also use your move action to perform a swift action. You can also take one reaction each round, even if it isn’t your turn; however, reactions happen only in response to certain defined triggers. There are some other actions that do not fall into the normal action types. The following actions are common in combat and crucial to maximizing your character’s efficiency while fighting. Performing a standard action is generally the main component of your turn. Most commonly, you use it to make an attack, cast a spell, or use a special power. Performing a move action allows you to take Tactical actions that, while secondary to your standard action, are still key to your success. The most common move action is to move up to your speed (see Speed). Performing a swift action consumes a very small amount of time and is used only in rare cases. A common swift action is dropping to a prone position. A full action consumes all your effort during your turn, meaning if you choose to take a full action, you can’t take any other standard, move, or swift actions that turn. The most common full action is the full attack. A reaction is a special action you can perform even if it isn’t your turn. An attack of opportunity is one of the most common reactions, and is the only reaction any character can use regardless of class. Your class or other special abilities might make other types of reactions available to you. Regardless, reactions always have triggers that specify when you can use them. In some situations, you may be unable to take all of your actions (for example, when you are paralyzed by a hold person spell or are acting in the surprise round of combat). The condition or ability that restricts your actions explains which actions you can or can’t take. Regardless, you can’t take a full action if you’re unable to take a standard action, a move action, and a swift action. A standard action is usually the main action you take each round, other than movement. Below are examples of standard actions. Many technological and magic items, such as a cybernetic hand, don’t need to be activated. Certain items, however, do need to be activated to have an effect. Unless otherwise noted, activating such an item is a standard action. Making a single attack is a standard action. With a melee weapon, you can strike any opponent in a square adjacent to your space. You add your Strength modifier to your melee attack rolls and to your melee damage rolls. Some melee weapons have the reach special property, as indicated in their descriptions, and some monsters have natural reach. Typically, a character or monster with reach can attack any foe within their reach (see Reach and Threatened Squares for more details). Roll 1d8 to determine where a missed thrown weapon lands. With a ranged weapon, you can shoot or otherwise attack a target that is within the weapon’s maximum range and in your line of effect. You add your Dexterity modifier to your ranged attack rolls, but not to your ranged damage rolls. With a thrown weapon or a grenade, you can make a ranged attack at a target that is within the weapon’s maximum range and in your line of effect. You add your Strength modifier to your ranged attack rolls with a thrown weapon, and to your damage rolls with weapons with the thrown special property. Do not add your Strength modifier to damage rolls with grenades. When using a thrown weapon that has an area effect, such as a grenade, you target a specific grid intersection on a Tactical battle map, rather than a specific creature. Treat this as a ranged attack against AC 5. If you miss on a ranged attack with a thrown weapon, the weapon lands in a random square or grid intersection as appropriate near your target. To determine where it lands, roll 1d8. This determines the initial misdirection of the throw, with 1 falling short (off-target in a straight line toward the thrower), and 2 through 8 rotating around the target creature or grid intersection in a clockwise direction, as illustrated in the diagram above. After you’ve determined the misdirection of the throw, roll 1d4. The result is how many squares away in that direction the weapon lands. For example, after a missed ranged attack with a grenade, a player rolls 1d8 with a result of 1. This indicates that the grenade’s initial misdirection falls short of the target intersection. Then, the player rolls 1d4 with a result of 2. This determines that the grenade actually lands at an intersection 2 squares in front of the target intersection. A ranged weapon’s range increment is listed along with its other statistics. If you make an attack with a ranged weapon from a distance greater than its listed range, you take a cumulative –2 penalty to the attack roll for each full range increment of distance between you and the target beyond the first (or fraction thereof). For most ranged weapons, the maximum range is 10 range increments, or 10× the number listed as the weapon’s range. For thrown weapons, the maximum range is 5 range increments. Some ranged weapons have different maximum ranges, but if so, their descriptions specify their maximum ranges. When you make an attack roll and get a natural 20 (the d20 comes up 20), you hit regardless of your target’s AC. If the total result of your attack roll meets or exceeds the target’s EAC or KAC (as appropriate for your attack), you’ve also scored a critical hit. You roll your damage twice, each time with all your usual bonuses and including any additional damage from special abilities, and then add the rolls together. Some weapons inflict a special effect on a target of a critical hit, in addition to dealing double damage. If the total result of your attack is less than your target’s relevant AC, your attack still hits on a natural 20, but it deals damage normally. The vast majority of spells require at least a standard action to cast, and sometimes more. Spells that take more than a round to cast require a full action each round until they are complete. Casting a spell takes a significant amount of concentration, forcing you to lower your defenses briefly. When you cast a spell, it gives targets threatening you in melee a chance to make an attack of opportunity against you (see Attack of Opportunity), unless the spell specifies otherwise—normally only the case for a few spells with a range of touch. If this attack of opportunity hits and damages you, you fail to cast the spell and lose the spell slot. As a standard action, you can attempt one of the following combat maneuvers. For each maneuver, choose an opponent within your reach (including your weapon’s reach, if applicable) and then make a melee attack roll against the opponent’s KAC + 8. The effects of success vary depending on the maneuver, as described below. You knock the target back 5 feet, plus 5 additional feet for every 5 by which the result of your attack roll exceeds the target’s KAC + 8. If an obstacle is in the way, the target stops at the obstacle instead. You make an unorthodox attack to briefly hinder the target. A dirty trick could be throwing sand in the target’s eyes, jamming a rock into his actuators, or any other improvised action designed to put your opponent at a disadvantage. Your target is blinded, deafened, entangled, off-target, shaken, or sickened (your choice) for 1 round, plus 1 additional round for every 5 by which the result of your attack roll exceeds the target’s KAC + 8 (see Conditions beginning for information on these conditions). The target can remove the condition as a move action. A dirty trick is normally a melee attack, but a GM can allow certain actions to count as dirty Tricks at range, in which case you take a –2 penalty to your attack roll for every 5 feet between you and the target. You knock an item the target is holding out of the target’s hands and onto the ground. If you have a hand free, you can automatically grab the item with your hand before it falls. You hold the target in place. You must have at least one hand free to perform a grapple combat maneuver. Your target has the grappled condition, meaning she can’t move from her current space and takes further penalties until she either uses a standard action to attempt a grapple combat maneuver to grapple you (giving you the grappled condition) or uses the escape task of the Acrobatics skill to break free. If the result of your attack roll equals or exceeds the target’s KAC + 13, the target is instead pinned for the same duration, and she can’t take any actions that involve moving her limbs other than to attempt to escape. The grappled or pinned condition lasts until the end of your next turn, unless you renew it on your next turn with another grapple combat maneuver. The condition ends immediately if you move away. As long as you have one target grappled or pinned, you cannot attempt to grapple another. The grappled and pinned conditions are further detailed in Conditions. When you renew a grapple, you can remove one item from the target’s body that can be easily accessed, including most weapons and equipment (but not worn armor). Doing so immediately ends the grapple. You change the target’s position to a different location still within your reach and within 5 feet of its original placement. You can move the target 5 additional feet for every 5 by which the result of your attack roll exceeds the target’s KAC + 8, but all movement must remain within your reach. You cannot move the target past an obstacle. If you reposition a creature as a full action, you can move a distance equal to the distance you repositioned your target (up to your move speed), dragging the target along with you. You deal damage to one object held in the target’s hand or accessible on its body. The object must be something that could be drawn easily by the target as a move action (see Draw or Sheathe a Weapon). The damage is reduced by an amount equal to the object’s hardness (see Smashing an Object). You knock the target prone if it is on the ground. A target in the air instead descends 10 feet, falling prone if this causes it to fall to the ground. A target in zero gravity is instead knocked off-kilter. Some spells require continued concentration to keep them going. Concentrating to maintain a spell is a standard action (see Duration for more information about concentration). You can use your standard action to make a ranged attack that provides covering fire for an ally. Make a ranged attack roll against AC 15. If you hit, you deal no damage but the selected ally gains a +2 circumstance bonus to AC against the next attack from a creature in your line of effect, so long as that attack occurs before your next turn. Dismissing an active spell is a standard action (see Duration for more information about dismissible spells). You can use your standard action to feint by attempting a Bluff check. The DC of this check is equal to either 10 + your opponent’s Sense Motive total skill bonus or 15 + 1-1/2 × the opponent’s CR, whichever is greater. You can’t feint against a creature that lacks an Intelligence score, and you cannot take 10 or take 20 on a Bluff check to feint. When you successfully feint, you treat your opponent as flat-footed for your next attack against him before the end of your next turn. You can fight defensively when attacking as part of a standard action. If you do, you take a –4 penalty to attacks you make in that round but gain a +2 bonus to AC until the start of your next turn. You can use your standard action to make a ranged attack that distracts a foe in your line of effect. Make an attack roll against AC 15. If you hit, you deal no damage, but the next ally to attack that foe gains a +2 circumstance bonus to her next attack roll, as long as that attack occurs before your next turn. You can defend yourself as a standard action. Starting at the beginning of this action, you get a +4 bonus to your Armor Class until the start of your next turn. You can’t combine total defense with other actions that increase your AC, nor can you make attacks of opportunity while benefiting from total defense. There are three types of special abilities: Extraordinary, Spell-Like, and Supernatural. Special abilities often carry the parenthetical abbreviations (Ex), (Sp), or (Su) to indicate whether they are Extraordinary, Spell-Like, or Supernatural abilities. Some are ongoing, while others are use-activated. Using a special ability is usually a standard action, unless it is an ongoing ability or the ability says otherwise. In rare cases, an ability might take a full action or a move action to activate. In most cases, a use-activated special ability cannot be activated as a swift action. Using a spell-like ability typically provokes attacks of opportunity unless stated otherwise. Most move actions don’t require a check unless the circumstances are more difficult than normal. For instance, opening a door normally doesn’t require a check, but it does if the door is locked. The following actions are move actions. You can crawl 5 feet as a move action. A crawling character is considered prone. Some technology and spells allow you to redirect an effect to new targets or areas. Redirecting requires a move action unless the technology or spell states otherwise. Drawing a weapon so that you can use it in combat or putting it away so that you have a free hand requires a move action. This action includes activating or deactivating the weapon. This also applies to weapon-like objects that are easily accessible, such as remote controls and most tools or sensors you can carry and use with one hand. If your weapon or weapon-like object is stored in a pack or otherwise out of easy reach, you must instead retrieve it as a stored item before you can use it (see Manipulate an Item below). Exception: If you have a base attack bonus of +1 or higher, you can combine drawing or sheathing a weapon or weapon-like object with moving up to your speed as a single move action. You can carefully step 5 feet as a move action. This movement doesn’t provoke attacks of opportunity, even if you’re in a threatened square. Moving or manipulating an item is usually a move action. This includes retrieving or putting away a stored item, picking up an item, moving a heavy object, and opening a door. The simplest move action is moving up to your speed (see Speed for more information). Many nonstandard Modes of movement are also covered under this action, including burrowing (using your natural burrow speed, if you have one), climbing and swimming (using either the Athletics skill or your natural climb or swim speed, if you have one), or flying (using the Acrobatics skill if you have either access to flight or a natural fly speed). See Additional Movement Types for more details. Unless stated otherwise, reloading is a move action that includes grabbing ammunition you have readily available. Some weapons require different actions to reload; see the weapon’s description. This special form of move action allows you to stand up from a prone position. You won’t commonly use a swift action, but occasionally you need to perform an action that is significantly less demanding than a move action. Some skills use swift actions, but special abilities are almost never swift actions. Changing your grip on a weapon, such as going from wielding a two-handed weapon with both hands to holding it in one hand, is a swift action. Dropping to a prone position in your space is a swift action. A full action requires your entire turn to complete. If you take a full action, you can’t take your usual standard, move, and swift actions. The following actions are full actions. Charging is a full action that allows you to move up to double your speed and make a melee attack at the end of the movement. You can draw a weapon during a charge attack if your base attack bonus is at least +1. Charging carries tight restrictions on how you can move. You must move at least 10 feet (2 squares), and all movement must be directly toward the designated opponent, though diagonal movement is allowed. You must have a clear path toward the opponent, and you must move to the space closest to your starting square from which you can attack the opponent. If this space is occupied or blocked, you can’t charge. If any line from your starting space to the ending space passes through a square that blocks movement, slows movement (such as difficult terrain), or contains a creature (even an ally), you can’t charge. You can still move through helpless creatures during a charge. If you don’t have line of sight to the opponent at the start of your turn, you can’t charge that opponent. Attacking on a Charge: After moving, you can make a single melee attack. You take a –2 penalty to the attack roll and a –2 penalty to your AC until the start of your next turn. You can’t move any farther after the attack. Some classes, including Solarian and soldier, grant abilities that modify attacks made on charges. As a full action, you can deliver a special attack called a coup de grace to an adjacent helpless opponent. You automatically hit and score a critical hit. If the target survives the damage, he must succeed at a Fortitude saving throw (DC = 10 + your level or CR) or die. However, if the target is immune to critical hits, the coup de grace does not deal critical damage or effects, nor does it force the target to succeed at a saving throw or die. You can fight defensively when attacking as a full action. If you do so, you take a –4 penalty to all attacks in that round (in addition to the normal penalties for making a full attack) to gain a +2 bonus to your AC until the start of your next turn. You can spend a full action to make two attacks, each with a –4 penalty to the attack rolls. These attacks can be made with the same weapon or different weapons, though certain weapons have a firing speed so slow that you can’t shoot them more than once in a round, even with a full attack. These weapons have the unwieldy special property. Certain weapons have special individualized full attacks. For instance, some weapons have a fully automatic attack Mode. Sometimes special full attacks, such as the soldier’s onslaught class feature, require specialized training in order to gain their benefits. You can run as a full action. When you run, you can move up to four times your speed in a straight line. You gain the flat-footed condition, and you can’t run if you must cross difficult terrain or can’t see where you’re going. Running provokes attacks of opportunity (see below). You can run for a number of rounds equal to your Constitution score. Withdrawing from melee combat is a full action. When you withdraw, you can move up to double your speed. The square you start out in is not considered threatened by any opponent you can see, and therefore visible enemies don’t get to make attacks of opportunity against you when you move from that square. Unseen enemies still get attacks of opportunity against you, and you can’t withdraw from combat if you’re blinded and have no other precise senses (such as blindsight). If, during the process of withdrawing, you move out of a threatened square other than the one you in which started, enemies can make attacks of opportunity as normal. See Attack of Opportunity below for more information. A reaction is a special action you can take even if it’s not your turn, but only after a defined and concrete trigger. You can’t use a reaction before the first time you act in a combat. You can take only one reaction each round; you regain your reaction at the start of your turn. Unless their descriptions state otherwise, purely defensive reactions interrupt the triggering action: resolve the reaction first, then continue resolving the triggering action. Otherwise, resolve the reaction immediately after the triggering action. You gain access to most reactions through feats, items, and class features, but an attack of opportunity is a reaction that is universally available to all characters. An attack of opportunity is a special melee attack you can make against a target you threaten (usually an adjacent opponent), even if it is not your turn. See Reach and Threatened Squares for more details on threatening. You can use your reaction to make an attack of opportunity against an opponent in any of these three cases. When you threaten a space and the opponent moves out of that space in any way other than a guarded step or withdraw action (see above), you can use your reaction to make a melee attack against the opponent. When the opponent in a space you threaten makes a ranged attack, you can use your reaction to make a melee attack against the opponent. When the opponent in a space you threaten casts a Spell or uses a Spell-Like ability, you can use your reaction to make a melee attack against the opponent. However, some Spells or Spell-Like abilities state in their descriptions that they don’t provoke attacks of opportunity, so be sure to confirm that the enemy has provoked your reaction before you take it. Attacks of opportunity are always resolved before the action that triggers them. You don’t take a penalty to the attack roll when making an attack of opportunity in the same round you took a full attack, but you do take any other attack penalties that would normally apply to your attacks. Making an attack of opportunity does not affect your ability to make attacks normally when it is your turn. The following actions are important but used less frequently. While actually trying to convince someone using a skill takes actions, banter and quips are a hallmark of science fantasy stories, and the game wouldn’t flow naturally if you could only talk in initiative order. Thus, you can speak an amount that makes sense, at the GM’s discretion, without spending any of your actions, even if it isn’t your turn. If you aren’t sure what to do when it’s your turn, you can delay taking an action until other characters have taken their turns. You must declare that you are delaying before taking any actions on your turn (this does not require spending any of your actions). After any creature takes its turn in the initiative order, you can come out of delay and take your turn. This changes your initiative count to the current initiative count for the remainder of the combat. If you used a reaction on your previous turn and then chose to delay, you still regain your reaction at the beginning of your original turn, not when you take your delayed actions. You can drop any item or items that you’re holding into your square or into an adjacent square at any time without spending any actions. You can prepare to take an action when a certain trigger occurs by using a standard action. Decide on a standard, move, or swift action and a trigger. You can take the action you chose when the trigger happens. This changes your initiative count to the current initiative count for the remainder of the combat. If you used a reaction on your previous turn and then chose to ready an action, you still regain your reaction at the beginning of your original turn, not when you take your readied action. If your readied action is purely defensive, such as choosing the total defense action if a foe you are facing shoots at you, it occurs just before the event that triggered it. If the readied action is not a purely defensive action, such as shooting a foe if he shoots at you, it takes place immediately after the triggering event. If you come to your next turn and have not yet performed your readied action, you don’t get to take the readied action (though you can ready the same action again). Like using skills in different circumstances, using a skill in combat usually (but not always) requires taking an action. The action required when using a skill depends on the skill and the specific task you’re trying to accomplish. The skill descriptions detail a number of common tasks for each skill and which types of actions they require, if any. The most common way that your character gets hurt is to take damage and lose Stamina Points or Hit Points. Stamina Points represent the ability to turn a serious blow into a less serious one or to shrug off some attacks through sheer toughness. They act as a buffer that absorbs damage before it starts to deplete your Hit Points. When you take damage, you lose Stamina Points first, then you subtract any leftover damage from your Hit Points. If a creature doesn’t have Stamina Points, damage is subtracted directly from its Hit Points. Hit Points measure your ability to take physical punishment and keep going. Running out of Hit Points can be deadly. Your Hit Points (HP) measure how hard you are to kill. No matter how many Hit Points you lose, you aren’t hindered in any way until your Hit Points drop to 0. In addition, you have Stamina Points (Sp) that work like Hit Points but replenish more easily, and you have Resolve Points (RP), which you can use to keep yourself from walking through death’s door. See Resolve Points for more information. Damage doesn’t affect you until your current Hit Points reach 0. If you take damage to your Hit Points equal to or greater than the Hit Points you have remaining, you are reduced to 0 HP, and you’re knocked unconscious and dying (see below). It doesn’t matter how many Stamina Points you later regain (see Recovering Stamina Points) if you’re out of Hit Points. You can’t be reduced to fewer than 0 HP (however, see Massive Damage below). For example, suppose Navasi has 17 HP and 1 SP. She takes 12 damage, is now at 6 HP and 0 SP, and can function normally. On the next enemy’s turn, that enemy deals 15 damage to her, reducing Navasi to 0 HP. Navasi falls unconscious and is dying. If you take damage from a single attack that reduces you to 0 HP and there is damage remaining, you die instantly if the remaining damage is equal to or greater than your maximum Hit Points. If you take damage from a single attack equal to or greater than your maximum Hit Points while you have 0 current HP, you die. Suppose Navasi has a maximum of 22 HP, but she currently has 5 HP and 0 SP. She takes 30 damage from an enemy. Navasi is reduced to 0 HP, with 25 damage remaining. Since this damage is greater than her maximum Hit Points, Navasi dies. If your Hit Points reach 0, you are dying. You immediately fall unconscious and can take no actions. While dying, you lose 1 Resolve Point each round at the end of your turn. (If your Hit Points reached 0 during your turn, such as from an attack of opportunity you provoked, you do not lose a Resolve Point until the end of your next turn.) This continues until either you die or stabilize (see Stabilizing below). When your Hit Point total is 0, if you are not stable and you have no Resolve Points remaining but would lose Resolve Points for any reason, you’re dead. If you have 0 RP when you are first reduced to 0 HP, you have 1 round to be healed or stabilized. If you have not been healed or stabilized by the end of your turn on the next round, you’re dead. You can also die from taking ability damage or ability drain equal to your Constitution score or from having a number of negative levels equal to your character level (see Ability Damage, Ability Drain, and Negative Levels). Nonetheless, certain types of powerful magic and technology can restore life to a dead character, such as a 4th-level mystic cure Spell or a raise dead Spell. Most monsters and NPCs don’t have Resolve Points, so injury and death work differently for them. A monster or NPC reduced to 0 HP is dead, unless the last bit of damage it took was nonlethal damage, in which case it is knocked unconscious. If it is ever important to know exactly when a monster dies, such as if you want to capture the creature alive, the GM can decide that a monster reduced to 0 or fewer Hit Points with lethal damage dies in 3 rounds unless it takes any additional damage or receives healing. If a monster or NPC has Resolve Points, the GM can choose whether the monster dies at 0 HP or if it uses the normal rules for dying and death. There are several ways to stabilize a dying creature, including first aid, healing, and spending Resolve Points. Once stable, you are no longer dying and no longer lose Resolve Points, but you still have 0 Hit Points and are unconscious. You can stabilize a dying creature and keep it from losing any more Resolve Points with a successful DC 15 Medicine check. You can stabilize a dying creature and keep it from losing any more Resolve Points with any sort of healing, such as the stabilize Spell. Healing that raises a dying creature’s Hit Points to 1 or higher makes it conscious and fully functional again, just as if it had never been reduced to 0 HP. If you are dying and have enough Resolve Points, you can use them to stabilize. If you’re stable, you can use Resolve Points to regain consciousness and stay in the fight (see below). If you are dying and you have enough Resolve Points, you can spend a number of Resolve Points equal to one-quarter your maximum (minimum 1 RP, maximum 3 RP) on your turn to immediately stabilize. This means you’re no longer dying, but you remain unconscious and at 0 HP. If you don’t have enough Resolve Points remaining, you cannot use this option and continue to lose Resolve Points as normal as per the dying rules. If you are stable and have enough Resolve Points, or if you were knocked unconscious from nonlethal damage, you can spend 1 RP at the beginning of your turn to regain 1 HP. You are no longer dying, immediately become conscious, and can take the rest of your turn as normal. You can spend Resolve Points to regain Hit Points only if you are at 0 HP and stable, and you cannot regain more than 1 HP in this way. You can’t spend Resolve Points to stabilize and to stay in the fight in the same round. If you are unconscious and stable but lack the Resolve Points to stay in the fight, there is a chance you will eventually recover on your own. After 1 hour elapses, you must attempt a Constitution check (see Ability Checks). If the result of this check is 20 or higher, you regain 1 HP and become conscious again. If the result of the check is at least 10 but less than 20, you don’t regain any Hit Points, but you remain stable and you must attempt another Constitution check 1 hour later. If the result of the check is 9 or lower, you die. You must continue attempting a Constitution check once per hour until you regain consciousness or until you die. After 8 hours, if you have not regained consciousness or died, you regain consciousness and recover 1 HP per character level, as if you had a full night’s rest (see Recovering Hit Points Naturally below). If a healer or medic is tending you are while you are unconscious and stable, the attendant can attempt a DC 15 Medicine check each hour before you attempt your Constitution check. If the Medicine check is successful, you gain a +2 bonus to your Constitution check, and if your Constitution check result is less than 10, you treat it as if the result were a 10. While you are dying, if you have any Stamina Points, any damage you take still reduces those first. The first time each round you take Hit Point damage (whether from an attack or from continuous damage, such as from a bleed effect), you lose 1 Resolve Point. At any point after that in the round, if a single source (such as one attack) deals Hit Point damage greater than half your maximum Hit Points but less than your maximum Hit Points, you lose 1 additional RP. As mentioned earlier, if you would lose Resolve Points but have no Resolve Points remaining, you die instantly. If you take damage equal to or greater than your maximum Hit Points from a single attack, you also die instantly. If you take damage while unconscious but stable, you are once again dying and no longer stable. After taking damage, you can recover Hit Points through natural healing or through magical or technological healing. You can’t regain more Hit Points than your maximum Hit Point total. You can regain all your Stamina Points by spending 1 RP and taking 10 uninterrupted minutes of rest. After a full night’s rest (8 hours of sleep or more), you regain your Stamina Points automatically. Some special abilities also let you regain Stamina Points. With a full night’s rest (8 hours of sleep or more), you recover 1 HP per character level. Any significant interruption during your rest prevents you from healing that night. If you undergo complete bed rest for 24 hours, you recover 2 HP per character level. Various abilities, devices, and Spells can restore Hit Points or increase the recovery rate of your natural healing. Unless otherwise specified, these types of healing restore only Hit Points, not Stamina Points. You can never recover more Hit Points than you lost or raise your current Hit Points higher than your maximum Hit Points, nor can you recover more Stamina Points than you lost or raise your current Stamina Points higher than your maximum Stamina Points. Temporary ability damage heals at the rate of 1 point per night of rest (8 hours) for each affected ability score. Complete bed rest for 24 hours restores 2 points for each affected ability score. Ability drain does not heal naturally. See Ability Damage, Ability Drain, and Negative Levels for more information. Certain effects, such as force fields, give you temporary Hit Points. These Hit Points are in addition to your current Hit Points and Stamina Points, and any damage you take is subtracted from your temporary Hit Points first. Any damage in excess of these temporary HP reduces your Stamina Points (and then your actual Hit Points) as normal. If the effect that grants the temporary HP ends or is counteracted, any remaining temporary HP go away. When temporary Hit Points are lost, they can’t be regained or restored like a character’s normal Hit Points or Stamina Points can be, though some sources of temporary Hit Points have their own rules on how to restore lost temporary Hit Points. Nonlethal damage represents harm that can knock you out instead of killing you. Some weapons deal only nonlethal damage, while others can be set to deal nonlethal damage when desired. You can deal lethal damage with a nonlethal weapon and vice versa. Most attacks that deal nonlethal damage work like any other attacks, and they deal damage to your Stamina Points or Hit Points as normal. However, when nonlethal damage would reduce you to 0 or fewer Hit Points, you are reduced to exactly 0 HP and fall unconscious, but you are stable instead of dying. You can use a weapon that deals nonlethal damage to deal lethal damage instead, but you take a –4 penalty to your attack roll. You can use a weapon that deals lethal damage to deal nonlethal damage instead, but you take a –4 penalty to your attack roll. Some monster attacks or harmful effects might directly damage or drain one or more of a character’s ability scores, or they might impose negative levels. If you take ability drain or negative levels, you might no longer meet the prerequisites for certain feats or abilities, and thus be unable to use them. Some monsters can cause ability damage, which penalizes one or more of your ability scores. This can add up quickly, so you need to track the total ability damage you’ve taken to each ability score. For every 2 damage you take to an ability score, reduce your ability modifier by 1 for skills and other statistics affected by that ability. If your total damage to one ability is equal to your score in that ability, you cease taking damage to that ability score, but you fall unconscious until the amount of damage is less than your score. However, if you take Constitution damage that equals your Constitution score, you instead immediately die. You recover from ability damage to each affected ability score at a rate of 1 per day. Spells such as lesser restoration can also heal ability damage. Reductions to your ability score modifier from ability damage affect skill checks and ability checks that use that ability score, as well as on the DCs of Spells and other abilities based on that score. If you take damage to your key ability score, you also lose 1 RP for every 2 damage you have taken to that ability score. The entries below describe other rolls affected by the reduced modifier. Strength: Attack rolls that rely on Strength (usually melee or thrown) and weapon damage rolls that rely on Strength (usually melee or thrown). Dexterity: Armor Class, attack rolls that rely on Dexterity (usually ranged), weapon damage rolls that rely on Dexterity (such as operative weapons), initiative checks, and Reflex saves. Constitution: Fortitude saves. You also lose a number of Stamina Points equal to your level for every 2 damage you have taken to Constitution. For example, if you’re 4th level and you took 5 Constitution damage, you’d lose 8 SP. Sometimes you might take a penalty to ability checks or to an ability score, rather than ability damage. These penalties affect your modifier the same way as damage, but they are only temporary and can’t result in your falling unconscious or dying. More severe than ability damage, ability drain reduces your ability score permanently. Note that this affects your score directly instead of penalizing your modifier, so 1 ability drain changes your modifier if your original ability score was even, but not if it was odd. Modify all statistics related to the ability’s new value. This might make you lose skill ranks along with Resolve Points, Stamina Points and other bonuses gained from having a high ability score. If you take ability drain in the middle of a battle, the GM might have you treat it as damage until after the fight so recalculating your statistics doesn’t slow the game. Ability drain doesn’t heal naturally but can be healed by the restoration Spell. In general, if any ability score is reduced to 0 from ability drain, you fall unconscious. If that score is Constitution, you instead immediately die. If you have 1 or more negative levels, you take certain penalties and might even die. For each negative level you have, you take a cumulative –1 penalty to your ability checks, your AC, attack rolls (including combat maneuvers), saving throws, and skill checks. In addition, you reduce your current and total Hit Points and Stamina Points by 5 for each negative level you have. You are also treated as 1 level lower for the purpose of level-dependent variables (such as Spellcasting) for each negative level you have. If you are a spellcaster, you do not lose any Spell slots as a result of negative levels. If your negative levels equal your total character level (or CR, for monsters), you die. Negative levels are temporary, unless the effect that bestows them specifies they are permanent. If you have temporary negative levels, you can attempt a saving throw each day to remove those negative levels. The DC is the same as the DC of the effect that caused the negative levels. If you have negative levels from multiple sources, you must attempt a separate saving throw to remove the negative levels from each source. If an effect imposes permanent negative levels, they are treated just like temporary negative levels, but you do not receive a saving throw each day to remove them. Permanent negative levels can be removed through Spells such as restoration. If you die, permanent negative levels remain even after you are restored to life. If your permanent negative levels equal your total number of class levels (or CR, for monsters), and you are brought back to life using Spells such as mystic cure or raise dead, you remain alive for 3 rounds but then die again if you have not also benefited from a restoration Spell or similar effect within that time. Several factors can influence combat or grant you modifiers to attack rolls or other statistics. Originating from sources such as dense smoke and battlefield position, concealment obscures precise senses and imposes a miss chance on attacks. When you have concealment, it’s harder for enemies to see you clearly. This might be due to your position on the battlefield, or it might be due to another effect that makes it more difficult for enemies to perceive and hit you with an attack. To determine whether you have concealment from a creature’s ranged attack, choose a corner of the enemy’s square. If any line from this corner to any corner of your square passes through a square that provides concealment or the border of such a square, you have concealment. Also use these rules when a creature makes a melee attack against a target that isn’t adjacent to it. When a creature is making a melee attack against an adjacent target, the target has concealment if its space is entirely within an effect that grants concealment. Additionally, some effects provide concealment against all attacks, regardless of whether any intervening concealment exists. Concealment gives the target of a successful attack a chance that the attacker actually missed. This is called a miss chance. Normally, the miss chance for concealment is 20%. Make the attack normally; if the attacking creature would hit, the target must roll a 20 or lower on a d% roll to avoid being struck. Multiple concealment conditions do not stack. Certain situations can provide more or less of a miss chance than typical concealment. In this case, it is up to the GM to determine a character’s degree of concealment. If a creature has line of effect to you but not line of sight, you have total concealment. An enemy can’t attack you when you have total concealment, though it can attack into a square it thinks you occupy. A successful attack into a square occupied by an enemy with total concealment has a 50% miss chance (instead of 20%). Concealment might be ineffective. Dim light or darkness doesn’t provide concealment against creatures with darkvision. Creatures with low-light vision can see in dim light as if it were normal light. Cover does not necessarily block precise senses, but it does make it more difficult for enemies to hit you. To determine whether your target has cover from your attack, choose a corner of your square. If any line from this corner to any corner of the target’s square passes through a square or border that blocks line of effect or provides cover, or through a square occupied by a creature, the target has cover. Cover grants you a +4 bonus to AC and a +2 bonus to Reflex saves against attacks that originate from a point on the other side of the cover from you. Note that spread effects can extend around corners and negate these bonuses. #1: Altronus is adjacent to the ksarik, and nothing blocks him from reaching it. The ksarik does not have cover against him, but he also does not have cover against it. If Altronus makes a ranged attack against the ksarik, he provokes an attack of opportunity from it. #2: Obozaya is adjacent to the ksarik, but lines from every corner of her square to all the corners of the ksarik’s square pass through or run along the border of a wall. The ksarik has cover from her, and she has cover from it. Thus she can make a ranged attack without provoking an attack of opportunity from the ksarik. #3: Raia attacks at range, and no matter what corner she chooses, some lines from it pass through a solid surface, meaning that the ksarik has cover from her attacks. Cover and Attacks of Opportunity If you have cover relative to an enemy, it can’t make an attack of opportunity against you. A low obstacle (i.e., a wall half your height) provides cover, but only to creatures within 30 feet (six squares). The attacker ignores the cover if he’s closer to the obstacle than his target is. Creatures, even enemies, between you and the source of an effect provide you with cover against ranged attacks, giving you a +4 bonus to AC. However, soft cover provides no bonus to Reflex saves, nor does soft cover allow you to attempt a Stealth check. If more than half of you is visible, your bonuses from cover are reduced to +2 to AC and +1 to Reflex saving throws. In some cases, such as when a target is hiding behind a gun port in a defensive wall, cover provides greater bonuses to AC and Reflex saves. In such situations, the normal bonuses to AC and Reflex saves are doubled (to +8 and +4, respectively). If an enemy doesn’t have line of effect to you, you have total cover from the enemy. A creature can’t make an attack against a target that has total cover. When making a melee attack, you gain a +2 bonus to attack rolls if your opponent is threatened by another creature on its opposite border or opposite corner. Only a creature that threatens the opponent can grant this bonus, and your bonus from flanking can never be higher than +2. Creatures with a reach of 0 feet can’t flank an opponent. When in doubt about whether two characters who threaten an opponent flank it, trace a line between the two attackers’ centers. If the line passes through opposite borders or corners of the opponent’s space, then the opponent is flanked. Exception: If a creature takes up more than one square, it gets the flanking bonus if any square it occupies counts for flanking. If you are lying on the ground, you are prone. When prone, you take a –4 penalty to melee attack rolls. You also gain a +4 bonus to your Armor Class against ranged attacks but take a –4 penalty to your AC against melee attacks. If you are knocked down in zero gravity, you’re off-kilter instead of prone. #1: Altronus and Raia are flanking the ksarik because they can draw a line to each other that passes through opposite sides of the ksarik. Both Altronus and Raia receive a +2 bonus to attack rolls made against the ksarik. #2: Obozaya is not flanking the ksarik because she cannot draw a line to Altronus or Raia that passes through opposite sides of the ksarik. Obozaya cannot draw a line to Navasi, because Navasi is not adjacent to the ksarik and does not threaten it. #3: The ksarik has reach and thus threatens Navasi. The space goblin and the ksarik flank Navasi, as they can draw a line between them that passes through opposite sides of Navasi’s square. If the ksarik didn’t have reach to Navasi, though, it and the space goblin would not be flanking her. It’s often very important to know where all the creatures involved in an encounter are, as well as what terrain and other objects are present. The rules for movement and positions work best when keeping track of positions using a battle map and miniatures. A battle map is typically divided into a grid of 1-inch squares, each of which represents a 5-foot-by-5-foot area. This game uses miniatures on the 30 mm scale (meaning a miniature of a 6-foot-tall creature is approximately 30 mm tall), available at opengamingstore.com or your local gaming store. The rules below cover moving in environments with normal gravity conditions. Creatures in these size categories take up more than 1 square of space. See Table 8–1: Creature Size for more details. A creature’s natural reach refers to its reach in melee combat when it is not wielding a weapon with the reach special property. Small and Medium creatures have a natural reach of 5 feet. When wielding a weapon with the reach special property, you threaten all squares that you can reach with your weapon. This typically extends a Small or Medium creature’s reach to 10 feet. Your speed is how far you can move with a single move action. Your speed depends mostly on your race and your armor type, though magic and equipment can also impact it. Wearing heavy armor or carrying too much can reduce your speed (see Armor and Carrying Capacity). If you use two move actions in a round (sometimes called a “double move”), you can move up to double your speed. If you spend the entire round running (using the run action), you can move up to quadruple your speed. A creature’s land speed refers to how far it moves across the ground with its appendages. Most Medium creatures have a land speed of 30 feet (6 squares). If a creature has additional movement speeds, such as a climb speed or a fly speed, those speeds are listed in the creature’s statistics separately (see Additional Movement Types). If a rule references speed without specifying a movement type, it refers to whatever movement type you are using. Movement occurs in different movement scales. Tactical movement, for combat, is measured in feet (or 5-foot squares) per round. Local movement, for exploring the immediate area, is usually measured in feet per minute, though you can also track movement on a local scale in rounds, as in Tactical movement. Overland movement, for getting from place to place, is measured in miles per hour or miles per day. Starships use their own movement scales for moving between planets and systems and for Tactical Starship combat. See Space Travel and Starship Combat for more details on these movement scales. A hustle is a jog (about 6 miles per hour for an unencumbered PC). When you are taking the move your speed action to move in the same round that you perform a standard action or another move action or when you move your speed twice in a single round, you are hustling when you move. A running pace for a character is moving four times her speed (about 120 feet per round or 12 miles per hour for an unencumbered PC). When you are taking the run action, you are running when you move. Unless you are charging, you can move through a square occupied by an ally or a friendly character. When you do so, that creature doesn’t provide you with cover. You can’t normally move through a square that is occupied by an opponent, but you can move through a square that is occupied by a helpless opponent without penalty. Some creatures, particularly very large ones, present an obstacle even when helpless; in such cases, each such square you move through counts as 2 squares. It is also possible to use the tumble task of the Acrobatics skill to move through a square occupied by an opponent. Some creatures break these rules. A creature that completely fills the squares it occupies (such as a 5-foot-cube robot) cannot be moved past, even with the Acrobatics skill or similar abilities. 1 This means a biped’s height or a quadruped’s body length (nose to base of tail). 2 These numbers assume that the creature is roughly as dense as a regular animal. A creature made of stone will weigh considerably more, and a gaseous creature will weigh much less. In some cases, you have to squeeze into or through an area that isn’t as wide as the space you take up. You can squeeze through or into a space that is at least half as wide as your normal space. While squeezing, you move at half your speed and are considered to have the entangled condition. When your movement is hampered in some way, your movement usually costs double the normal amount. For example, each square of movement through difficult terrain counts as 2 squares, and each diagonal move through such terrain counts as 3 squares ( just as two diagonal moves normally do). #1: Altronus’s first move costs him 5 feet (or 1 square). His next costs 5 feet also, but his third (his second diagonal) costs 10 feet. Next, he moves into difficult terrain, which also costs him 10 feet. At this point, Altronus has moved 30 feet—one move action. The last square is a diagonal move in difficult terrain, which costs 15 feet; he must spend another move action to move this far. #2: The ksarik moves a total of 20 feet (or 4 squares). The ksarik cannot cut across the corner to get to its final position and must fully move around it, as indicated. Walk 20 ft. 30 ft. 40 ft. Hustle 40 ft. 60 ft. 80 ft.
Run 80 ft. 120 ft. 160 ft. Walk 200 ft. 300 ft. 400 ft. Hustle 400 ft. 600 ft. 800 ft.
Run 800 ft. 1,200 ft. 1,600 ft.
You can hustle for 1 hour without a problem. Hustling for a second hour in between sleep cycles deals 1 nonlethal damage to you, and each additional hour deals twice the damage taken during the previous hour of hustling. If you take any nonlethal damage from hustling, you become fatigued. When you recover from this nonlethal damage, you also eliminate the fatigued condition. In a day of normal walking, you walk for 8 hours, and then you spend the rest of your daylight time making and breaking camp, resting, and eating. However, you can walk for more than 8 hours in a day by making a forced march. For each hour of marching beyond 8 hours, you must succeed at a Constitution check (DC = 10 + 2 per extra hour) or you take 1d6 nonlethal damage. If you take any nonlethal damage from a forced march, you become fatigued. When you recover from this nonlethal damage, you also eliminate the fatigued condition. Still, it’s quite possible to march yourself into unconsciousness by pushing yourself too hard. Vehicle chases follow their own rules; see Vehicle Chases. If you have a burrow speed, you can use move actions to tunnel through dirt. You cannot tunnel through rock unless you have an ability that states otherwise. You can move your full burrow speed while burrowing, but you cannot run. Most burrowing creatures do not leave behind tunnels other creatures can use unless they have an ability that states otherwise; instead, the dirt closes up behind them as if they had not been there. If you have a climb speed, you can use move actions to climb slopes, walls, and other steep inclines, and you don’t need to attempt an Athletics check to climb except in hazardous circumstances (see the Athletics skill). You are not flat-footed while climbing. You receive a +8 bonus to all Athletics checks to climb and can always take 10 while climbing, even if distracted or threatened. You can move your full climb speed when you use the move action while climbing, but you cannot run. You can move double your climb speed with a successful Athletics check to climb, but you take a –5 penalty to the check. Creatures without a climb speed use the Athletics skill to climb. The Acrobatics skill also details other types of movement that can be made by flying creatures. These require successful Acrobatics checks, and these checks have consequences if you fail. If you have clumsy maneuverability, you cannot use the hover option presented in the fly task of the Acrobatics skill. If you have average maneuverability, all of the options in the fly task of Acrobatics are available to you. If you have perfect maneuverability, you do not have to attempt an Acrobatics check to use the avoid falling damage or hover options; you automatically succeed at these options (unless you are unconscious), though you can still attempt an Acrobatics check to hover as a swift action instead of a move action. If you have a swim speed, you can use move actions to swim through liquids, but you don’t need to attempt an Athletics check to swim except in hazardous circumstances (see the Athletics skill). You receive a +8 bonus to all Athletics checks to swim, and you can always take 10 while swimming, even if you are distracted or threatened. You can move your full swim speed while swimming, and you can use the run action while swimming, provided that you swim in a straight line. Creatures without a swim speed use the Athletics skill to swim. A swim speed does not automatically impart the ability to breathe underwater. Just as actions determine what you can do in combat and movement determines how you get there to do it, senses determine what you can perceive and how. Different alien races might have many different senses, but essentially all senses are separated into precise and imprecise senses. A specific creature’s senses are typically further refined into special abilities that more tightly detail how it perceives. These abilities include blindsight, blindsense, sense through, darkvision, and low-light vision, and the description of these abilities is found in Special Abilities. The broad definitions of creatures’ types of senses are below, followed by an explanation of how they function. Precise senses allow a creature to perceive the world in nuanced detail. For many creatures, the only precise sense they have is vision. Most other precise senses are collectively referred to as “blindsight,” indicating that they are precise like vision but creatures can use them without needing to see. Creatures with blindsense or blindsight typically perceive using a specific sense mechanism, indicated in parentheses after blindsense or blindsight in the creature’s statistics. If this sense somehow becomes unusable, the creature loses access entirely to its blindsense or blindsight. The typical senses through which creatures can perceive are emotion, life, scent, sound, thought, and vibration. Specific entries for blindsense, blindsight, and other senses can be found in Special Abilities. In gameplay, there are four different states of awareness that you can have with regard to another creature, which determine, for example, whether you surprise it when you engage it in combat or whether you can target a creature with an attack. These states of awareness are described below. When you are unaware of another creature, you don’t even know it is present. Generally this occurs because the creature is hidden, you failed your Perception check to notice it, and the creature hasn’t yet performed any actions that would alert you to its presence. You cannot directly attack a creature you are unaware of, but it is subject to area effects. When you are aware of another creature’s presence, you don’t necessarily know exactly where it is. Typically this occurs when the hidden creature has taken some action that revealed its general presence in the area but has successfully used Stealth since then to hide its exact location. If you have succeeded at a Perception check to notice a creature with an imprecise sense other than blindsense, you are aware of the creature’s presence (if you have blindsense, a successful Perception check means you are aware of the creature’s location; see below). You cannot directly attack a creature if you are only aware of its presence, but it is subject to area effects affecting its location. In order to directly attack such a creature, you must pinpoint its exact location with an additional Perception check. If this check is successful and you are using an imprecise sense to pinpoint a creature, you become aware of the creature’s location (see Aware of Location below). If this check is successful and you are using a precise sense to pinpoint a creature, you are observing the creature (see Observing below). When you are aware of a creature’s location, you know exactly where the creature is located, but you still can’t observe the creature with a precise sense such as vision. Generally, this occurs because you have blindsense, or because the creature is hidden but you have succeeded at a Perception check to pinpoint the creature with an imprecise sense. You must at least be aware of a creature’s location in order to directly attack it, though it is considered to have total concealment from you. It is, however, subject to area effects affecting that location. When you are observing a creature, you can directly perceive the creature with a precise sense. Generally, this occurs when a creature is visible, when the situation makes it impossible for the creature use Stealth to hide, or when you have succeeded at a Perception check to pinpoint the creature using a precise sense such as blindsight. You must be observing a creature to use a ranged effect that targets a specific creature without requiring an attack roll to hit (such as magic missile). You can also make normal attacks, including ones using ranged abilities, against creatures that you are observing. Again, it is subject to area effects that affect its location. A creature currently being observed can’t attempt a Stealth check without first breaking that observation. To break observation, the creature must either mask itself from your precise senses (with darkness, fog, invisibility, or the like, but not with effects such as displacement that still leave a clear visual indicator of its location), move somewhere it can’t be observed (a place with cover, for example), or use Bluff to create a distraction to momentarily break your observation of it. If you are unaware of a creature, aware of a creature’s presence, or aware of a creature’s location, that creature is considered to be “unseen” for you. A stationary unseen creature has a +40 bonus to Stealth checks, but this bonus is reduced to +20 if the unseen creature moves (and these bonuses are negated for potential observers with blindsense). An unseen creature benefits from total concealment (50% miss chance) against attacks. In addition, you are considered flat-footed against an unseen creature’s attacks. If you are unaware of a creature or aware only of its presence, you cannot directly attack it. You must first succeed at a Perception check to pinpoint the creature’s location, which then allows you to become aware of the creature’s location (if using an imprecise sense) or to observe the creature (if using a precise sense). If an unseen creature makes a melee attack against you from a space adjacent to you, you automatically determine its location, though this doesn’t stop it from moving after the attack. Because the majority of creatures use vision as their only precise sense, it’s important to determine the limitations of vision. All characters with vision can see clearly in bright light. Sources of bright light include direct sunlight outdoors, a nearby star shining through a Starship viewport, powerful industrial lighting, or any source as bright or brighter than normal sunlight. Normal light functions just like bright light, but it is less intense. Normal light includes the light conditions underneath a forest canopy during the day, typical indoor lighting, or the light from a flashlight or the dancing lights spell. In dim light, you can somewhat make out shapes, but you can’t see precise details well at all. Dim light includes moonlight outside at night and bright starlight, or a starship’s emergency backup lights. An area just beyond the range of a light source has dim light. Creatures within an area of dim light have concealment (20% miss chance) from creatures without darkvision or the ability to see in darkness. Because dim light is not ideal for observation, if you’re in an area of dim light, you can attempt a Stealth check to conceal yourself from creatures without low-light vision, darkvision, or blindsight. Dim light does not affect creatures with low-light vision, which can see in dim light as if it were normal light. In darkness, creatures without darkvision effectively have the blinded condition. Areas of darkness include an unlit chamber within a structure, most caverns, outside on a moonless night, or the surface of planets with distant or nonexistent stars. Unlike low-light vision and in areas of dim light, darkvision does not work exactly like normal vision in areas of darkness; rather, darkvision works only to a specified range and is in black and white. The DC of an Extraordinary ability is typically equal to 10 + half the level of the creature using it + the creature’s relevant ability score modifier, as detailed in the ability’s description. Extraordinary abilities are often denoted with the abbreviation “Ex” in parentheses next to the ability’s name. Just as for spells, a spell-like ability’s caster level determines the ability’s power (see Caster Level). If no caster level is specified in the ability’s description, the caster level is equal to the creature’s character level or CR. The DC of a spell-like ability is typically equal to 10 + the spell’s level + the Charisma modifier of the creature using it. If a class grants a spell-like ability that is not based on an actual spell, the ability’s effective spell level is equal to the highest-level class spell the character could cast at the class level the ability is granted. Supernatural abilities are magical but differ from spells in key ways. Unlike spells, which can be interrupted while being cast, Supernatural abilities can’t be disrupted in combat. They aren’t subject to spell resistance or dispel magic, but they don’t function in areas where magic is suppressed or negated. The text of a Supernatural ability indicates what type of action is required to use it, as well as how often it can be used. If a Supernatural ability doesn’t specify what type of action is required to activate it, it requires a standard action. Special abilities that are common are described below. The ability’s source typically indicates whether it is Extraordinary, Spell-Like, or Supernatural. In general, if an ability’s source does not indicate its type, the ability is Extraordinary. Blindsense is the ability to use an imprecise nonvisual sense (or a combination of senses) to operate effectively without vision. Blindsense operates out to a range specified in the creature’s description. If you have the blindsense special ability and succeed at a Perception check to notice an unseen creature, you become aware of the creature’s location. Blindsense negates the bonuses to Stealth checks that an unseen creature would otherwise receive, but unseen creatures still have total concealment against the attacks of creatures with blindsense, and creatures with blindsense are still flat-footed against the attacks of unseen creatures. See Dealing with Unseen Creatures for more information. Blindsight is a precise nonvisual sense (or a combination of senses) that functions as a more potent version of blindsense. Blindsight operates out to a range specified in the creature’s description. A creature with blindsight typically perceives using a specific sense, which is indicated in parentheses after the blindsight entry in the creature’s statistics. If the indicated sense somehow becomes unusable—say, for example, if a creature that uses scent to perceive through its blindsight loses its sense of smell—the creature loses access entirely to its blindsight. The typical senses through which creatures with blindsight can perceive are emotion, life, scent, sound, thought, and vibration. If you have blindsight and succeed at a Perception check to notice a hidden creature, you are observing the creature. Blindsight negates concealment, displacement, invisibility, magical darkness, and similar effects, though a creature with blindsight still can’t perceive ethereal creatures (see the ethereal jaunt spell). A creature with blindsight cannot be blinded and is not subject to gaze attacks (see the Starfinder Alien Archive). Some creatures have the ability to instantly heal damage from attacks or ignore blows altogether; this is referred to as the damage reduction special ability. Damage reduction (DR) applies to kinetic damage—any bludgeoning, piercing, or slashing damage—that a character takes, regardless of that damage’s source. It does not apply against damage with no damage type or any other damage type, including acid, cold, electricity, fire, or sonic, though these can be mitigated by energy resistance. The numerical part of a creature’s damage reduction is the amount of bludgeoning, piercing, and slashing damage the creature ignores from each attack. Weapons made from a certain material, magic weapons (any weapon with a weapon fusion), and weapons imbued with a specific alignment often can overcome this reduction. This information is separated from the damage reduction number by a slash. For example, DR 5/cold iron means that you take 5 fewer damage from weapons that are not made from cold iron, DR 5/magic means you take 5 fewer damage from weapons that are not magic, and so on. If a dash follows the slash (“DR 5/—”), then the damage reduction is effective against bludgeoning, piercing, or slashing damage from any weapon, though some attacks have their own ability to overcome DR. Ammunition fired from a projectile weapon with a magic fusion or alignment is treated as a magic weapon or having the listed alignment for the purpose of overcoming damage reduction. Darkvision is the ability to see with no light source at all, out to a range specified in the creature’s description. Darkvision is black and white only (colors cannot be discerned). It does not allow characters to see anything that they could not see otherwise—when a creature has darkvision, invisible objects and creatures are still invisible, and illusions are still visible as what they seem to be. Likewise, darkvision subjects a creature to gaze attacks normally (see the Starfinder Alien Archive). The presence of light does not affect darkvision. If energy resistance completely negates the damage from an attack, it also negates most special effects that accompany the attack, such as an operative’s debilitating trick or poison delivered via an injury. Energy resistance does not negate ability damage, ability drain, or negative levels dealt along with an energy attack, nor does it affect poisons or diseases delivered by contact, ingestion, or inhalation. If you have energy resistance against the same energy type from more than one source, the two forms of energy resistance do not stack unless the sources of the energy resistance specifically note otherwise. Rarely, an effect specifies that it increases a creature’s existing energy resistance. Incorporeal creatures’ attacks always target their enemies’ Energy Armor Class. Incorporeal creatures cannot take any physical actions that would move or manipulate an opponent or its equipment, including combat maneuvers, nor are they subject to any such actions. An incorporeal creature can enter or pass through solid objects but must remain adjacent to such an object’s exterior, and so it cannot pass through the center of an object whose space is larger than its own. It can sense the presence of creatures or objects within squares adjacent to its current location, but enemies have total concealment (50% miss chance; see Concealment) from an incorporeal creature that is inside an object. An incorporeal creature inside an object has total cover, but when it attacks a creature outside the object it has only cover (see Cover). An incorporeal creature cannot pass through a force effect. Incorporeal creatures pass through and operate in vacuum, water, and zero gravity as easily as they do in air. Incorporeal creatures cannot fall or take falling damage. They have no weight and do not set off traps that are triggered only by weight. An invisible creature is visually undetectable. A creature using only an imprecise sense, or whose only precise sense is vision, can’t observe an invisible creature, so the invisible creature is unseen by such a would-be observer. Creatures with blindsight can perceive invisible creatures normally, since blindsight is a precise sense that does not rely on vision, and thus can observe invisible creatures. See Senses and Dealing with Unseen Creatures for more information. Invisible creatures remain invisible even in unusual environments, such as underwater, and when subject to effects such as fog or smoke. They are not magically silenced. They can still be heard, smelled, and felt as normal, even if other creatures can’t see them. Invisible creatures leave tracks and can be tracked normally. A character looking for an invisible creature might find his quarry if the invisible creature drops an item, speaks, smells strongly, leaves an obvious trail, or performs some action that makes itself known. Finding an invisible creature in this way requires a Perception check as normal. If successful, and assuming your only precise sense is vision, you become aware of the invisible creature’s presence, but you don’t know its exact location. If you’re looking for an invisible creature, the GM might rule that you have a bonus or penalty to your Perception checks based on the situation. Characters with low-light vision can see in dim light as if it were normal light (see Vision and Light). A creature with sense through typically perceives using a specific sense, which is indicated in parentheses after the sense through entry in the creature’s statistics. For example, sense through (vision) allows a creature to see through obstacles that would normally block vision. If the indicated sense somehow becomes unusable—for example, if a creature whose vision is augmented by sense through is blinded—the creature loses access to its sense through ability. The typical senses through which creatures with sense through can perceive are emotion, life, scent, sound, hearing, vibration, and vision. A creature with sense through (vision) is considered to have darkvision to a range of 60 feet unless stated otherwise. This enables the creature to perceive through materials such as armor, briefcases, and other concealing items, meaning the creature can use Perception to search more quickly and easily (searching up to a 20-foot-by-20-foot area in a single round), though such quick searches reveal only things accessible by that sense. If a secret door is concealed behind a material that blocks this ability (see below), a quick search using sense through (vision) would not reveal it. Throughout the course of her adventures, a character often comes under the effects of conditions, circumstances, magic, technology, or other factors that provide her with bonuses or penalties to certain game statistics, such as her Armor Class (AC), attack rolls, or saving throws. The situations that can grant bonuses or impose penalties are practically limitless, but bonuses and penalties all function using the rules described in this section. While it’s always a good idea to keep track of all bonuses and penalties affecting your character at any given time, such tracking is particularly important during combat. After all, that +1 morale bonus to attack rolls from the envoy’s get ’em Improvisation might mean the difference between either landing the blow that fells a security robot or allowing it to remain standing (and subsequently take out a wounded ally). GMs should take care to note all bonuses and penalties that are in effect during combat, but ultimately, it’s usually up to the player to track the bonuses and penalties affecting her character at any given time so that she has an accurate handle on how she performs in combat. The rules that govern bonuses and penalties, as well as the different specific types of bonuses, are described below. The term “bonus” can refer to a benefit you receive outside the typical framework, such as if a monster gains a bonus feat. Sometimes the total you add to a die roll after all calculations is referred to as a bonus, such as your initiative bonus or an attack’s damage bonus. Other bonuses are divided into specific different types, representing the varying conditions and circumstances that provide bonuses to various numbers or values within the game. When multiple bonuses apply to the same value, different types of bonuses all apply, but in most cases bonuses of the same type do not add together (or “stack” with each other), unless a source specifies otherwise. (For an exception, see Circumstance Bonus below.) Bonuses that do not list a bonus type do stack, both with each other and with all typed bonuses. Such bonuses, often referred to as “untyped” bonuses, are among the most utilitarian of all bonuses in the game. For example, Keskodai has a +2 morale bonus to his saving throws, because an angelic being is protecting him with aura of mettle, one of its special abilities. While benefiting from the aura, Keskodai casts the death ward spell on himself. As a result, when attempting a saving throw against death spells and death effects, he can add the +4 morale bonus granted by his death ward spell, but he cannot also add the morale bonus from the angelic being’s aura of mettle. Only the higher of the two bonuses applies, because they are both morale bonuses and therefore do not stack with each other. While benefiting from the angelic being’s aura of mettle ability, though, Keskodai still gains the +2 morale bonus to saving throws other than those against death spells and death effects, because such saving throws are not affected by the death ward spell. The following describe the most common forms of bonuses, what they represent, and the kinds of things to which they apply. When your ability modifier is positive, it can be referred to as an ability bonus. If an ability says to add your ability bonus, it means to add your ability modifier, but only if that modifier is not a negative number. An armor bonus represents a protective barrier that makes attacks less likely to reach and harm a target. It applies to Armor Class and is granted by armor or by a spell or magical effect that mimics armor. Armor bonuses don’t stack with other armor bonuses, but they do stack with all other bonuses to Armor Class (such as a Dexterity bonus). Armor bonuses sometimes specify that they apply only to your Energy Armor Class (EAC) or your Kinetic Armor Class (KAC). Most suits of armor provide armor bonuses to both EAC and KAC, though the specific armor bonuses a suit provides to each value often differ, as noted in the armor’s description. An armor bonus that doesn’t specify which Armor Class it applies to applies to both. Characters receive base bonuses to attacks and saving throws from their class levels. Your base attack bonus is added to all your attack rolls and is determined by your class and level. A higher number means you’re better at combat. Similarly, the three categories of base saving throw bonuses, also determined by your class and level, are added to saving throws you attempt against various effects (as indicated by each effect that calls for a saving throw). You receive the base bonuses listed for your level in a class on the class’s level progression chart. For example, if you are a 5th-level soldier, you have a base attack bonus of +5, a base Fortitude save bonus of +4, a base Reflex save bonus of +1, and a base Will save bonus of +4. If you take levels in more than one class (known as multiclassing), your base bonuses from different classes stack with each other. Add together the base bonuses from each of your classes to determine your base values. For example, if you have 5 levels of soldier and 1 level of operative, you have a base attack bonus of +5, a base Fortitude save bonus of +4, a base Reflex save bonus of +3, and a base Will save bonus of +6. Circumstance bonuses arise from specific conditional factors affecting the task at hand. Circumstance bonuses stack with other circumstance bonuses unless they arise from essentially the same source, in which case they do not stack. For example, you might use a firecracker as part of a Bluff check to create a distraction. The GM decides the firecracker grants a +2 circumstance bonus to the skill check. The GM also knows the guards in this situation are extremely nervous, and thus their attention is easily drawn to any sudden or unexpected occurrence. The GM grants you a +2 circumstance bonus as well. Since these two bonuses result from distinct circumstances that both affect the task, they stack, granting you a +4 bonus to the Bluff check. A divine bonus stems from the power of a deity or another potent Supernatural creature, such as a demon lord. These bonuses are most commonly granted by Spells and magic items, though priests of deities can sometimes access them through different special abilities they can use. An enhancement bonus is a rare kind of effect, normally a Supernatural one, that accentuates the useful qualities of an object or bolsters a specific attempt to accomplish something, improving your total effectiveness. It almost never applies to attack rolls. An insight bonus represents improved performance of a given activity from either specialized competence or a certain form of precognitive knowledge. A luck bonus represents good fortune powerful enough to alter the outcome of events—or at least to provide the little nudge needed to turn the tide of events in your favor. A morale bonus represents the effects of a boost in courage, determination, and hope in a situation that tests your mettle. Nonintelligent creatures (meaning creatures with an Intelligence of 0 or no Intelligence at all) cannot benefit from morale bonuses. A racial bonus comes from the culture in which you were raised or results from innate characteristics of your creature type. If your race changes (for example, if you die and are reincarnated), you lose all racial bonuses you had in your previous form and gain any new ones you now have access to, as appropriate. Various effects can cause you to take penalties to ability scores, Armor Class, die rolls, movement, or other statistics. Unlike bonuses, penalties do not have types. However, multiple applications of the same penalty generally don’t stack—only the highest penalty applies. For example, suppose the GM assigns a penalty to Acrobatics checks on a frozen lake because its surface is slippery, and one of the PCs’ enemies has a device that applies penalties to Acrobatics checks in an area by freezing the ground so that it is icy and slippery. Causing the already-frozen lake to again be frozen doesn’t make it any more slippery and in fact doesn’t change it much at all. Therefore, only the highest of these two penalties applies to Acrobatics checks creatures attempt on the doubly frozen ice. The GM serves as the ultimate arbiter of whether or not two situations that apply penalties count as the same source and thus whether the penalties stack. A GM might decide that while freezing a lake twice doesn’t make it any more slippery, pouring oil on its surface does, and additional penalties might accrue from other environmental factors, such as a strong wind, an earthquake, or the lake’s surface having frozen unevenly into a series of inclines and depressions. Whether an effect is created by a class feature, spell, or piece of equipment, it usually has factors such as area, duration, and range that are defined using specific game terms, as well as descriptors that indicate its type of power (and that sometimes affect how it works). The following section describes how effects’ areas, descriptors, durations, ranges, and targets work, and it also gives the mechanical definition of line of effect and line of sight—two factors key to determining whether a character can use a spell or piece of equipment effectively. Some effects cover a defined area. Sometimes an effect’s description indicates a specially defined area, but usually an area falls into one of the categories discussed below. Regardless of the shape of the area, you select the point from which the effect originates, but otherwise you don’t control which creatures or objects are affected. The point of origin of an effect is always a grid intersection, meaning the point where four squares touch on a Tactical battle map. When determining whether a given creature is within the area of an effect, count out the distance from the point of origin in squares, just as you would do when moving a character or when determining the range for a ranged attack. The only difference is that instead of counting from the center of one square to the center of the next, you must count from intersection to intersection. You can count diagonally across a square, but keep in mind that every second diagonal counts as two squares of distance. If the far edge of a square is within the effect’s area, everything within that square is within the effect’s area. If the effect’s area touches only the near edge of a square, however, things within that square are unaffected by the effect. Most effects with an area function as a burst, an emanation, or a spread. In each case, you select the effect’s point of origin and measure its area from that point. A burst effect applies to whatever is in its area when it comes into effect, including creatures that you can’t see. It doesn’t affect creatures with total cover from the burst’s point of origin, and its effects don’t extend around corners. The default shape for a burst effect is a sphere, but some burst effects are specifically described as cone-shaped. A burst’s area defines how far from the point of origin the effect extends. An emanation effect functions like a burst, except that the effect continues to radiate from the point of origin for the duration of the effect. Most emanations are cones or spheres. A spread effect extends out like a burst, but it can turn corners. You select the point of origin, and the effect spreads out to a given distance in all directions. The effect can extend around corners and into areas that you can’t see. Calculate distance using the actual distance the effect travels, taking into account turns the effect takes and counting around walls and corners, not through them. You must designate the point of origin for such an effect, but you need not have line of effect to the entirety of the effect’s area. Most effects with an area have a particular shape. A cone-shaped effect extends away from you in a quarter-circle in the direction you designate. It starts from any corner of your square and grows wider as it goes. Most cones are either bursts or emanations (see above), and thus won’t go around corners. With cylinder-shaped effects, you select the effect’s point of origin. This point is the center of a horizontal circle at a height designated in the effect’s description, and the effect drops down from the circle, filling a cylinder. A cylinder-shaped effect ignores any obstructions within its area. A line-shaped effect extends away from you in a line in the direction you designate. It starts from any corner of your square and extends to the limit of its range or until it strikes a barrier that blocks line of effect. A line-shaped effect applies to all creatures in squares through which the line passes. A sphere-shaped effect expands from its point of origin to fill a spherical area. Spheres can be bursts, emanations, or spreads. If an area or effect entry ends with “(S),” you can shape the effect. A shaped effect or area can have no dimension smaller than 10 feet. The “areas” of many effects are given as cubes to make it easy to Model irregular or three-dimensional shapes. Three-dimensional volumes are most often needed to define areas and effects in space. Other An effect can have a unique area, as defined in its description. Some effects have areas that target creatures or objects within the specified area. Unlike for targeted effects (see Target), you do not get to select which creatures are affected; the effect affects all creatures or objects of some kind in the specified area. If an effect restricts which targets are affected (for example, it affects only living creatures), then creatures in the effect’s area that are not of the appropriate type do not count against the number of creatures affected. If an effect targets creatures or objects directly, the result travels with the subjects for the effect’s duration. If an effect targets an area, it stays within that area for its duration; creatures become subject to the effect when they enter the area but are no longer subject to it when they leave. A descriptor is a term that helps define an item, a spell, or another effect in some way. Some effects have more than one descriptor, each of which further refines the ways the effect works and interacts with the world around it, while others have none. Even equipment sometimes has descriptors. The descriptors are as follows: acid, air, calling, chaotic, charm, cold, compulsion, creation, curse, darkness, death, disease, earth, electricity, emotion, evil, fear, fire, force, good, healing, language-dependent, lawful, light, mind-affecting, pain, poison, radiation, scrying, sense-dependent, shadow, sonic, summoning, teleportation, and water. Most of these descriptors have no game effect by themselves; they instead describe how spells or effects interact with certain other spells or effects. Some descriptors provide additional information about how the effect to which they are attached operates, as defined below. A calling effect transports a creature from another plane to the plane you are on. The effect grants the creature the one-time ability to return to its plane of origin, although the effect might limit the circumstances under which this is possible. Creatures who are called die if they are killed on the new plane. A called creature can’t be dispelled, even if it was called by magical means. A charm effect changes how the subject views you. This gives you the ability to befriend and suggest courses of action to another creature, but its servitude is not absolute or mindless. Essentially, a charmed character retains free will but makes choices according to a skewed view of the world. A charmed creature retains its original alignment and allegiances, generally with the exception that it now regards the person who charmed it as a dear friend and gives great weight to that character’s suggestions and directions. A charmed creature does not volunteer information or tactics that its master doesn’t ask for. A charmed creature never obeys a command that is obviously suicidal or grievously harmful to it. A creature fights friends it had before being charmed only if they threaten its new friend. Even then, it uses the least lethal means at its disposal, for it wishes to resolve the conflict without causing real harm. A charmed creature can attempt an opposed Charisma check against its master in order to resist instructions or commands that would make it do something it wouldn’t normally do even for a close friend. If it succeeds at this check, it decides not to go along with that particular order but remains charmed. If the creature’s master commands it to perform an action that the creature would be vehemently opposed to, it can attempt a new saving throw to break free of its master’s influence altogether. If a charmed creature is openly attacked by the character who charmed it or by that character’s apparent allies, it is automatically freed of the spell or effect. A compulsion effect overrides the subject’s free will in some way, forcing the subject to act in some manner or changing the way its mind works. A creation effect manipulates matter to create an object or creature in the place the creator designates. If the effect has a duration other than instantaneous, magic or some other energy holds the creation together, but when the duration ends, the created creature or object vanishes without a trace. If the effect has an instantaneous duration, the created object or creature does not depend on any outside energy for its existence, so it lasts indefinitely once created. A language-dependent effect uses intelligible language (either audible, visual, or telepathic) as a medium for communication. If you cannot communicate with the target or the target cannot understand what you are communicating, the effect fails to affect that target. A mind-affecting effect works only against creatures with an Intelligence score of 1 or higher. A pain effect causes unpleasant sensations but not permanent physical damage. Creatures that are immune to effects that require a Fortitude save are immune to pain effects. A scrying effect creates an invisible magical sensor that sends you information while the effect lasts. Unless noted otherwise, the sensor has the same sensory abilities that you have naturally, but not any sensory abilities you gain from other spells or technology. The sensor is a separate, independent source of sensory input for you, and thus it functions normally even if you have been blinded or deafened or otherwise suffer sensory impairment. A creature can notice a scrying sensor with a successful Perception check (DC = 20 + the spell or effect’s level). The sensor can be dispelled as if it were an active spell. Lead sheeting, force fields, and some exotic materials and magical protections block scrying effects; if that is the case, you can sense that the effect has been blocked. A sense-dependent effect has either audible or visual elements, requiring sight or hearing to have any effect. For this kind of effect to affect that target, you must be able to either see or hear the target, and the target must be able to either see or hear you. A shadow effect creates something that is partially real from an amalgamation of extradimensional energy. Damage dealt by a shadow effect is real. A summoning effect instantly brings a creature or object to a place you designate. When the effect ends or is dispelled, a summoned creature is instantly sent back to where it came from (typically another plane, but not always), but a summoned object is not sent back unless the effect description specifically indicates otherwise. A summoned creature also goes away if it is killed or if its Hit Points drop to 0, but it is not really dead. It takes 24 hours for the creature to reform in the place from which it was summoned, during which time it can’t be summoned again. When a summoning effect ends and the summoned creature disappears, all spells it has cast expire. A summoned creature cannot use any innate summoning abilities it may have. A teleportation effect involves instantaneous travel through the Astral Plane. Anything that blocks astral travel also blocks teleportation unless the specific effect notes otherwise. An effect’s duration tells you how long the effect lasts. If a spell, ability, or item has a specific duration and creates one or more effects, those effects last for the duration unless the specific effect notes otherwise. Sometimes an effect is suppressed without being negated or dispelled. When this happens, the effect’s duration is unchanged. It still ends at the same time it would have ended if it had not been suppressed. Durations are usually measured in rounds, minutes, hours, days, or other increments. When the time of the effect’s duration is up, the energy or force empowering the effect goes away and the effect ends. If an effect’s duration is variable, the duration is rolled secretly by the GM so you don’t know how long the effect will last. Whenever an effect’s duration is expressed in a standard unit that measures time, such as hours, days, or even years, it refers to those units as expressed in Standard Time. Under this scheme, a day has 24 hours of 60 minutes each, and a year has 365 days (or 52 weeks). The effect comes and goes the instant it is created, though its consequences might last longer. The effect remains until is undone through some method, such as by dispel magic for permanent spells. When an effect has a duration of concentration, the effect lasts as long as you concentrate on it. Concentrating to maintain an effect is a standard action. Any factor that could break your concentration while you are performing activities that require Focus (such as casting a spell) can also break your concentration while you’re maintaining an effect, causing the effect to end. See Concentration and Interrupted Spells for more details. You can neither use an effect that requires concentration nor cast a spell while concentrating on an effect. Some effects last for a short time after you cease concentrating—typically 1 round per level, though individual effects may vary as noted in their descriptions. Occasionally an effect lasts for a set duration, or until it is triggered or discharged. Some effects, most notably spells, have a range of touch (see Range below) and require an action to activate. In most cases, if you don’t discharge a touch effect on the round you create it, you can postpone the discharge of the effect (also known as holding the charge) indefinitely. You can make touch attacks round after round until the effect is discharged. If you make any other attack, activate another ability, or cast a spell during this time, the touch effect dissipates. Some touch spells allow you to touch multiple targets as part of the spell. You can’t hold the charge of such a spell; you must touch all targets of the spell in the same round that you finish casting the spell. If the duration of a spell or effect ends with “(D),” you can dismiss the effect at will as a standard action. You must be within range of the effect and be able to fulfill the same conditions required to create the effect—such as being able to concentrate to cast a spell or having access to the equipment that created the effect—though you do not actually need to spend the appropriate action. An effect that depends on concentration is dismissible by its very nature, and dismissing it does not take an action, since all you have to do to end the effect is to stop concentrating on your turn. If a weapon, spell, ability, or item requires an attack roll and has a range measured in feet, it normally requires that you (or whoever or whatever is using the ability) have a line of effect to the target to be effective (subject to GM discretion). A line of effect is a straight, unblocked path that indicates what an attack or ability can affect. A line of effect is blocked by a solid barrier that can stop the effect in question (such as a wall, for most effects), but it is not blocked by purely visual restrictions (such as smoke or darkness). You cannot have line of effect that exceeds planetary range, unless otherwise indicated. You must have a clear line of effect to any creature or object you wish to target or to any space in which you wish to create an effect without an area. For effects with an area, you must have a clear line of effect to the point of origin of the effect. An effect that is a burst, cone, cylinder, or emanation affects only an area, creature, or object within line of effect from its origin (a spherical burst’s center point, a cone-shaped burst’s starting point, the center point of a cylinder’s circle, or an emanation’s point of origin). For definitions of these specific terms, see Area. If you have a line of effect to some of a target’s space but not all of it, the target has cover. Additionally, an otherwise solid barrier with a hole of at least 1 square foot through it may grant cover rather than total cover against an effect, at the GM’s discretion. Line of sight is a straight, unblocked path that indicates what you can see. Line of sight is like line of effect, except factors that limit normal vision, such as fog, darkness, and total concealment, can block line of sight. If you can’t see a target for any reason, you do not have line of sight to it, and thus you cannot use effects that require you to have line of sight. You cannot have line of sight that exceeds planetary range unless otherwise indicated. An effect’s range indicates how far from you it can reach. An effect’s range is the maximum distance from you that the effect can occur, as well as the maximum distance at which you can designate the effect’s point of origin. If any portion of the effect’s area would extend beyond this range, that area is wasted. If a range is based on level, this means caster level for spells, class level for class features, and item level for weapons and equipment. Standard ranges include the following. Personal An effect with a range of personal is limited to and affects your person only. Touch If an effect has a range of touch, you must touch a creature or object to affect your target, which requires you to hit with a melee attack roll (against EAC unless the effect says otherwise) if you are touching an unwilling target. A touch effect that deals damage can score a critical hit just as a weapon can. Some touch effects allow you to touch multiple targets. You can touch up to six willing or unconscious targets as part of the activation of such an effect, but all targets of the effect must be touched in the same round that you finish activating the effect. If the effect allows you to touch targets over multiple rounds, touching up to six creatures is a full action. Close An effect with a range of close reaches as far as 25 feet + 5 feet for every 2 levels you have. An effect with a range of medium reaches as far as 100 feet + 10 feet per level you have. An effect with a range of long reaches as far as 400 feet + 40 feet per level you have. An effect with a range of planetary can reach anywhere on the same planet. This also covers targets in orbit around the planet, such as moons and Artificial satellites. An effect with a range of system-wide can reach anywhere in the same solar system. An effect with a range of plane can reach anywhere in the same plane of existence. Some effects, mostly high-level spells, can reach anywhere, even onto other planes. Effects with ranges of unlimited are often very powerful, and they can be difficult or impossible to access until you reach a high level. Some effects have no standard range category, just a range expressed in feet. In this case, the specific effect lists exactly how far its range extends. Some effects, especially weapons, have a range increment. The weapon can generate an effect at many multiples of this range, but you take penalties if the target is more than one range increment away (see Range and Penalties). Some effects have a target or targets. You use these effects on creatures or objects, as defined by the effect itself. You must have line of effect to the target or targets of an effect you wish to use, and you must specifically choose the target or targets. If the effect takes a certain amount of time to activate (such as the casting time of a spell), you do not have to select your target or targets until you finish activating the effect. For example, if you decide to cast a spell that would affect multiple creatures, you need not choose exactly which creatures it affects until you are done casting it and the spell is about to go into effect. This allows you to avoid casting spells or imposing effects on creatures that might have been taken out of a fight or otherwise incapacitated in the interim between your decision to cast a spell and when you’ve finished casting it and it’s ready to take effect. Some effects restrict which targets can be selected. If an effect targets living creatures, it affects all creatures other than constructs and undead—in other words, biological or technobiological creatures that are alive. (Artificially created beings that are not undead or constructs are considered living for this purpose.) If an effect targets willing or unconscious targets, it affects only those creatures who wish to be affected by it. A creature can declare itself a willing target at any time (even if it’s flat-footed or it isn’t that creature’s turn); this does not use up an action and simply requires, for example, a player to inform another player that his character is a willing target. Other effects allow you to target other categories of creatures or items, such as effects that can specifically target a construct, corpse, or object. Some effects allow you to redirect the effect to new targets or areas after you activate it. Redirecting an effect is a move action that does not provoke attacks of opportunity. Some targeted effects require an attack roll to hit their target. These effects can score critical hits just as weapons can, and when they do, they deal double damage on a critical hit. If a targeted effect that requires an attack roll lists a duration, it refers to how long the effect lasts on the target (if the attack roll is successful), not how long you have to make an attack. Most vehicles interact with abilities and spells normally; the effects of an explosive blast on an exploration buggy can be determined using the typical rules, for example. However, if you are on an exceptionally large vehicle, such as a sizable aircraft or a starship, the vehicle effectively becomes a type of terrain, and it interacts with the effects of abilities and spells differently. The GM is the final arbiter of what type of vehicle classifies as terrain, but examples include airships, mobile factory crawlers, ocean liners, space stations, starships, trains, or any vehicle larger than a typical creature that is size Colossal or larger. Consult the following guidelines when using abilities or casting spells on vehicles classified as terrain. For the purposes of abilities and spells, exceptionally large vehicles are not considered objects; instead, their various component parts (bulkheads, consoles, walls, etc.) are considered objects. 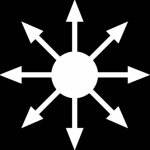 In general, abilities or spells with a stationary or immovable effect (such as wall of force, zone of truth, or the entrance to an Akashic mystic’s memory palace) or spells that are anchored to a vehicle (such as wall of steel) move with a vehicle and are not fixed to the physical spot where they are used or cast. In this way, effects that originate from a character on a terrain-sized vehicle and target an area on that vehicle move with the vehicle, instead of manifesting in a static spot that the vehicle quickly outpaces. Beyond these guidelines, the exact effects of an ability or spell that originates from a character on an exceptionally large vehicle are up to the GM.